Health care is advancing at the speed of light. We are expected to apply current evidence to our practice and understand the new technologies, medications, and treatments that are being implemented. It can be difficult to merely keep from sliding backward as the treadmill pace ever increases under our feet. That is why my final suggestion for correctional nurse goals for this year is to expand your knowledge about your practice and keep up with the latest developments. Here are a few ideas to get you thinking about ways to improve your foundational correctional nursing knowledge and keep up with changes in nursing practice. Links are provided for easy purchase or subscription. Every serious correctional nurse should have access to these texts as they are the basis for our specialty practice. Essentials of Correctional Nursing – Of course I would start off with this one (This IS the Essentials of Correctional Nursing Blog, after all!). The book was written as a guide to the specifics of nursing practice in the criminal justice system. Correctional Nursing Scope and Standards of Practice – This document establishes the role and practice of the specialty and provides 16 standards of practice and professional performance. The Correctional Nurse Manifesto – This short book provides seven affirmations to keep your correctional nursing practice on track. Journals and magazines provide updates to changing practice and information on movements in the industry. CorrectCare – A quarterly magazine published by the National Commission on Correctional Health Care (NCCHC) with short articles and industry trends. Journal of Correctional Health Care – The only national, peer-reviewed scientific journal with an exclusive focus on correctional health care. Subscription ($125/yr) is provided as part of membership in the Academy of Correctional Health Professionals (ACHP) – a good deal! Digital sources keep us posted on day-to-day changes and news of importance to our practice. Although you could go out and regularly check information websites, but I favor sources that collect up the top items and send them to my inbox for scanning. Here are a few of my favorites. Academy Insider – This free weekly email newsletter from the ACHP aggregates correctional health care news and items of interest for those in our field. Medscape for Nurses – Keep up with research and information in the general nursing field with this weekly synopsis sent to your inbox. ANA SmartBrief – Professional news from the American Nursing Association. Keep current on what is going on in our profession. I’m sure I didn’t include all the possible places for you to gain knowledge and stay on top of changes in our profession and specialty. Share your favorite sources in the comments section of this post. This entry was posted in Uncategorized and tagged American Nurses Association, ANA, correctional nursing, Lorry Schoenly, Scope of practice, Standards of Practice. Bookmark the permalink. 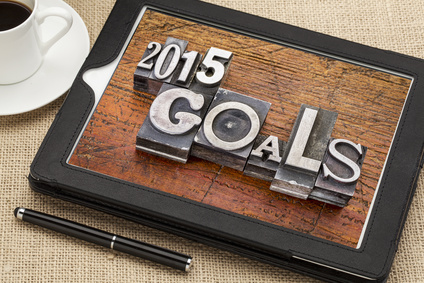 ← Correctional Nurse Goals for 2015: Expand Your Network!